The above is Barbara's initial scrumble. Her yarn is the last picture of the post. 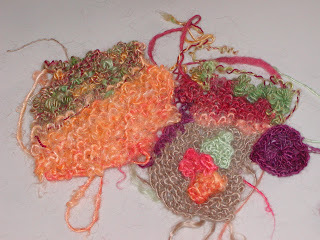 Both she and Polly decided that they were going to make vests and they picked out enough yarn to make one. 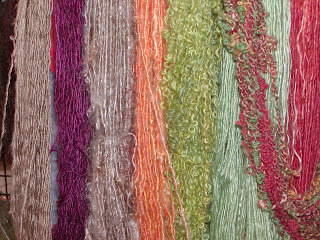 Both Polly and Barbara picked cool textured yarns. 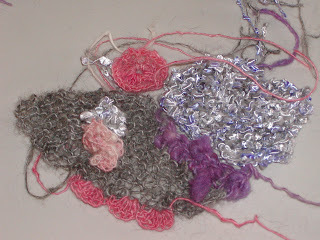 Want to make a guess as to what the purple yarn is and what stitch Polly used?